The efficient method of transporting chemicals. 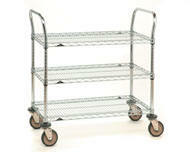 This sturdy cart is manufactured from Type 304 stainless steel with a chemical resistant polyethylene drip tray. 7 5/32″ x 7 5/32″ (184x184mm) openings provide capacity for (8) 4 litre sized containers. 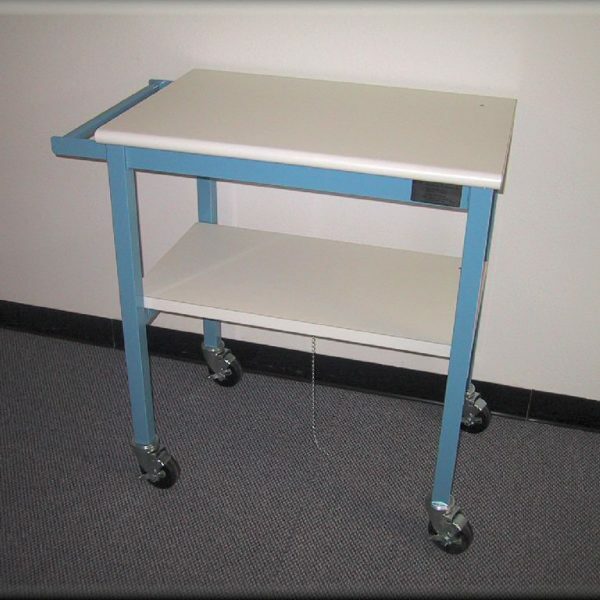 Casters included, two with brakes. Can be Customized for many applications including ESD, Chemical Resistant, Etc. An effective wafer transport system. 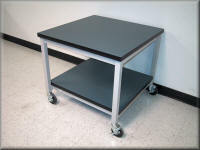 New (5MFA/BA) casters dampen vibration, minimizing wafer chatter during transit. 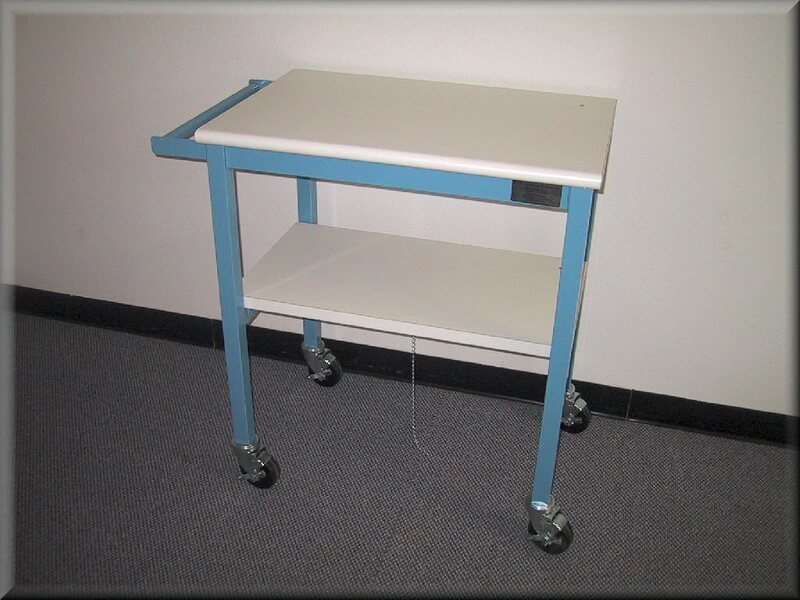 Four casters included, two with brake. 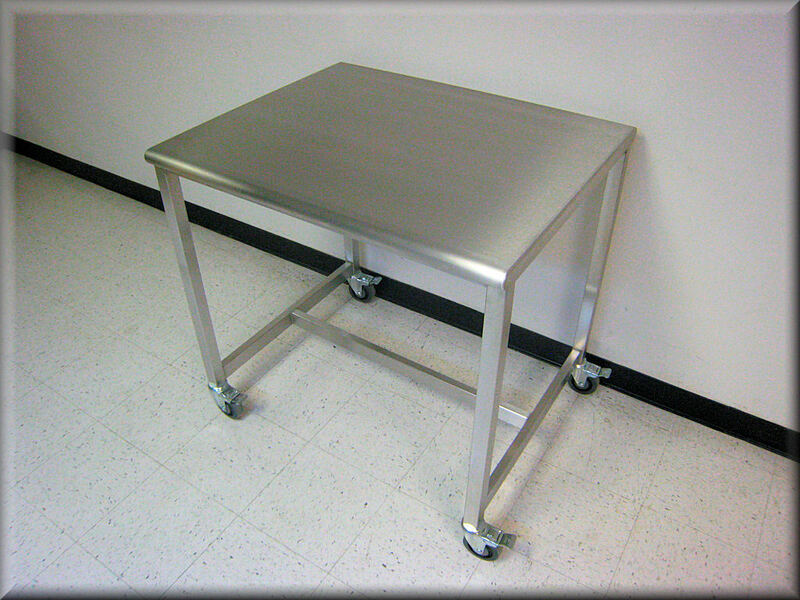 Manufactured from electro-polished, Type 304 stainless steel. 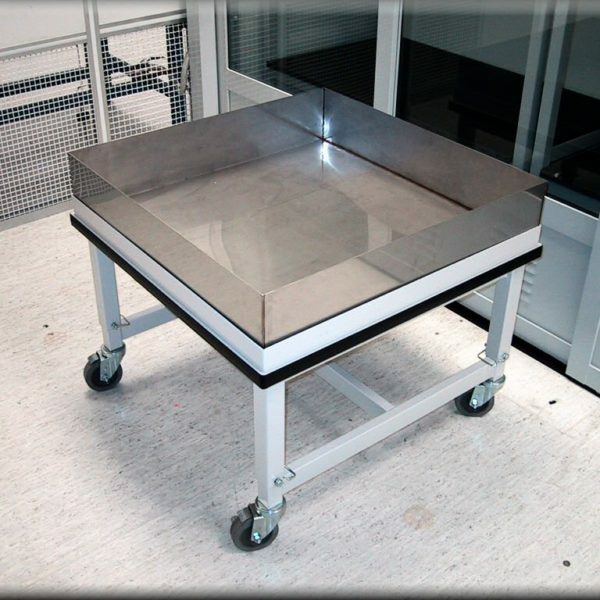 “Rod Top” style shelf has approximately 2″ (51mm) inward pitch to stabilize wafer boats. 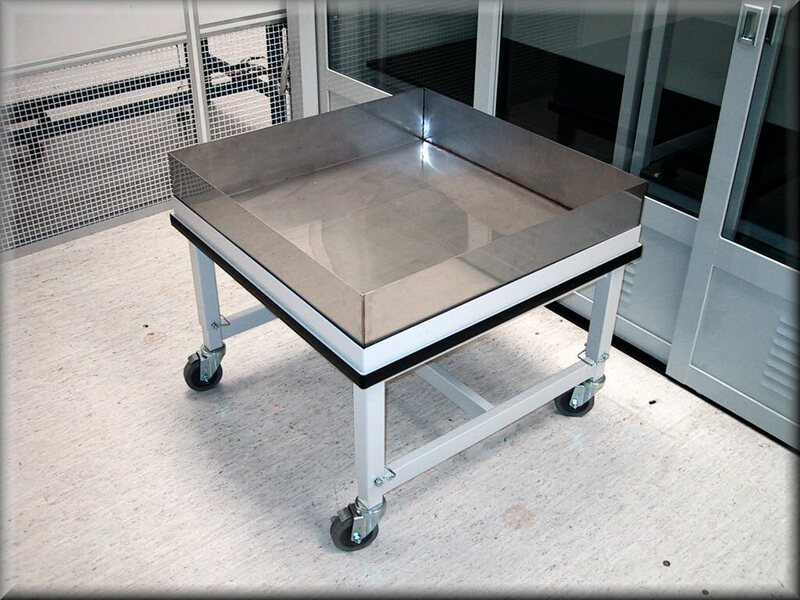 Racks are designed to provide efficient storage of Cleanroom garments. Type 304 stainless steel construction throughout. Open wire design promotes laminar air flow. 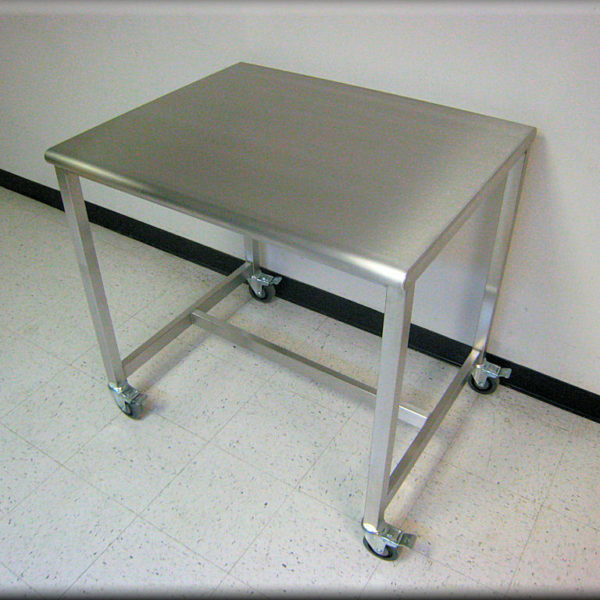 Adjustable stainless steel leveling feet provide floor mount or free standing option. Unique hanger capture mechanism and hanger design for theft deterrence. Hangers are spaced at 3� intervals.